For the past three years, Smithfield and EDF have collaborated to help grain growers in Smithfield’s supply chain improve fertilizer use to reduce runoff and build healthy soils. Efficient and precise fertilizer application, which gets nutrients to crops right when they need them, can save farmers money, boost crop yields and improve water quality. SmithfieldGro , the company’s program to provide farmers with precision agriculture assistance and technology, has already helped over 200 farmers improve practices on nearly 100,000 acres. For example, Smithfield purchased optical sensors that precisely apply nitrogen fertilizer, and then loaned them out to farmers for trial periods. Smithfield’s GHG commitment will expand that program to assist even more farmers. Within the first five years of its commitment, the company will install advanced manure management technologies, including lagoon covers, on 30 percent (70-100) of its hog farms in North Carolina. Over the full term of its commitment, Smithfield will help its contract hog farms do the same, and it will encourage other farms from which it purchases hogs nationwide to follow suit. Smithfield’s manure management improvements will nearly eliminate emissions of methane, a potent climate pollutant, and substantially reduce emissions of ammonia nitrogen, which is linked to human respiratory illness and impairs water quality. These technologies will also generate cost savings and new revenue opportunities for hog farmers. The majority of Smithfield’s hog farms are in eastern North Carolina, which recently made headlines when Hurricane Matthew caused a “500 year flood” – the second to drown the region in 17 years. 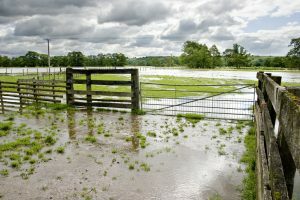 Most hog farms in North Carolina manage their manure in open lagoons, which are vulnerable to excess rainfall. Installing covers, which reduce greenhouse gas emissions, also protects lagoons from severe weather and enables farmers to precisely manage water levels. In turn, this saves farmers money and helps prevent potentially devastating overflows or breaches. Farmers who grow feed grain can also make their farms more resilient to extreme weather. 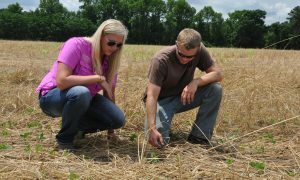 For example, farmers who plant cover crops have seen yield increases in cash crops planted afterwards – and those increases were even greater under drought conditions. It is increasingly difficult to make a living from farming, and most farm families must have some sort of off-farm income to make ends meet. 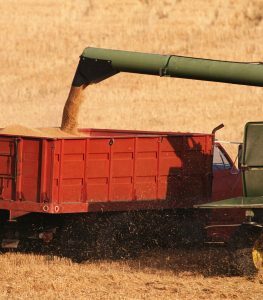 The U.S. Department of Agriculture found that large farmers – those with $250,000 or more in annual sales – still get about a quarter of their household income from employment away from the farm. Hog farmers who install lagoon covers may have another source of farm income from renewable energy generation. Lagoon covers capture methane, a potent greenhouse gas. Hog manure “biogas” can be cleaned and piped into the natural gas pipeline, or even used as a transportation fuel. The infrastructure needed to make these systems work can create additional jobs in the community. In North Carolina, the American Jobs Project estimates that a fully developed biogas industry could support over 2,000 jobs a year. Smithfield’s commitment is laudable, but there is much work ahead for the company to fully implement its pledge. Smithfield cannot achieve its goal without working collaboratively with farmers and other agricultural companies to improve environmental performance and make sustainable practices business as usual. The vision behind this commitment – that agriculture can generate solutions for the environment, farmers, and their neighbors – should inspire other agricultural companies to make their own commitments to improve air and water quality. This entry was posted in fertilizer, Partnerships, Supply Chain, Sustainable Agriculture and tagged biogas, cover crops, fertilizer efficiency, fertilizer optimization, greenhouse gas emissions, healthy soils, hogs, Hurricane Matthew, lagoon covers, livestock, manure, methane, nitrogen, North Carolina, nutrient management, protein company, resilience, Smithfield, Smithfield Foods, water quality. Bookmark the permalink. Both comments and trackbacks are currently closed. Have they stopped using gestation cages? Thank you for your question. EDF’s collaboration with Smithfield focuses on reducing greenhouse gas emissions and fertilizer efficiency. This page on its website may answer your question: http://www.smithfieldfoods.com/integrated-report/2015/animal-care/housing-of-pregnant-sows.